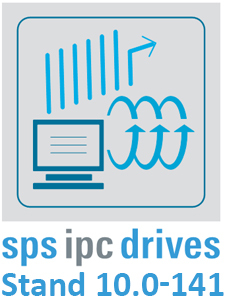 We're looking forward to participaing in SPS IPC Drives 2018 in Nuremberg, Germany, November 27-29. The event provides the best opportunity for our European customers to see the latest innovations in smart and digital automation. Be sure to visit Stand 10.0-141 to see our latest Ethernet solutions along with new products leveraging the Raspberry Pi. The Automation Platform is a robust and powerful hardware platform ready to run most any application compliant with the Raspberry Pi. It is intended for non-stop automation projects and utilizes the Raspberry Compute module. It includes two isolated EIA-485 serial ports suitable for BACnet MS/TP, Modbus RTU or other serial protocols along with two 10/100 Mbps Ethernet ports, DIN-Rail mounting and 24VAC/DC powering options. Daughterboards are available for Wi-Fi, LTE Cellular and EnOcean wireless Networks. The BASpi-EBCC utilizes a hat board for the Rapsberry Pi and functions as a BACnet Client and Server as well as a Sedona Controller. It also features an isolated EIA-485 port for BACnet MS/TP. The RemoteVPN is a service offered by Contemporary Controls that allows systems integrators remote access to systems from the convenience of the systems integrator's home or office. A cloud-based VPN server hosted by Contemporary Controls provides the critical connection between two VPN clients-one installed on the systems integrator's PC and the other permanently installed on Contemporary Controls' VPN router located at the remote location. Using this approach, two secure VPN tunnels are created with no concern for intervening firewalls. The EIMR router offers Cellular VPN connectivity along with one-input and one-output that can be configured to control and show the status of the cellular or VPN connectivity. Our Industrial Ethernet switches are hardened for the extreme environment of your machine. Our rugged metal cases, DIN rail mounting and hardened Ethernet signaling provide the best way to interconnect Ethernet devices within your machine. CTRLink Ethernet switches are designed for unattended operation in environments not conducive to office-grade equipment. Visit Stand 10.0-141 to learn more.